It's him. The big blond with the black shoe. The Tall Blond Man with One Black Shoe. The film’s title is certain to tug at your curiosity. Read it or hear it and you’ll likely picture a lanky figure, clumsily stomping about in mismatched shoes – and you wouldn’t be entirely wrong to expect that. 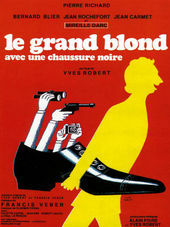 One part North by Northwest, one part The Pink Panther – a story of mistaken identity with an unwitting fool at the center of the action – The Tall Blond Man with One Black Shoe, better known by its French title Le Grand Blond avec une chaussure noire, is a 1972 spy spoof from filmmaker Yves Robert (La Guerre des boutons) starring comic actor Pierre Richard in a role he would play four more times over the next decade. Le Grand Blond follows François Perrin (Richard), a bumbling violinist who unknowingly becomes tangled up in a battle between rival factions of the French secret service. 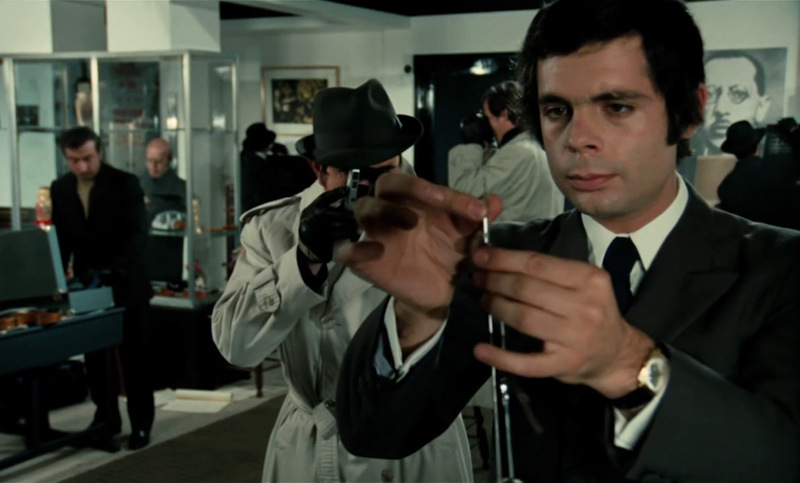 Picked out of an airport crowd because of his mismatched shoes – the result of a practical joke – and used as a decoy in an operation to expose an ambitious spymaster (Bernard Blier) as a traitor, Perrin haplessly avoids capture through a combination of ignorance and sheer luck. The musician’s apparent cleverness and repeated escapes soon have agents from both factions convinced that he may actually be a brilliant super spy working for the other side. The film’s opening title sequence introduces viewers to this darkly comic world by way of a catchy tune and a deck of cards. This perfect pairing of performance and music sets a playful and mysterious tone. Composer and frequent Robert collaborator Vladimir Cosma builds the film’s score around the pan flute (played by Gheorghe Zamfir of Picnic at Hanging Rock and “The Lonely Shepherd” fame), an instrument from his native Romania that was completely new to Western Europe at the time. “The Grand Blond score by Vladimir Cosma is one of the most famous tunes in French cinema,” says French film and design scholar Alexandre Tylski, author of Les plus beaux génériques de films – a French-language text on title design. 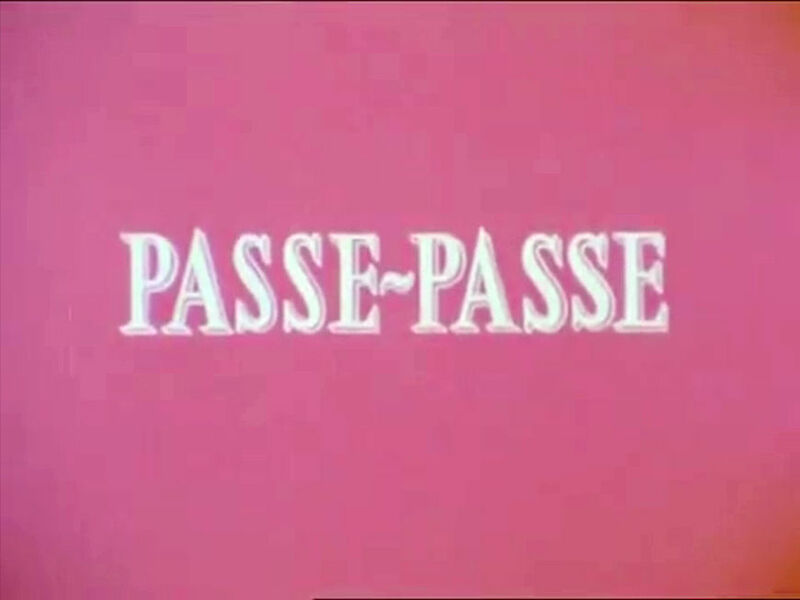 Tylski says the sequence remains a popular example of French title design, but it’s not necessarily something film students would study in school. 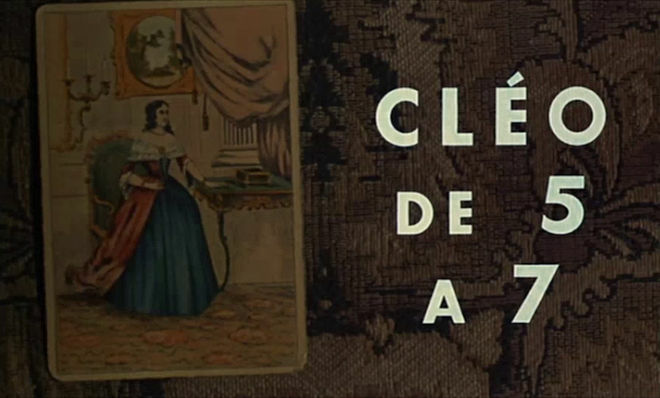 He also notes some similarity between the opening of Le Grand Blond and another French film: Agnès Varda’s 1962 film Cléo from 5 to 7 (Cléo de 5 à 7), which presents its credits atop tarot cards as a fortune teller reveals the titular character’s future. 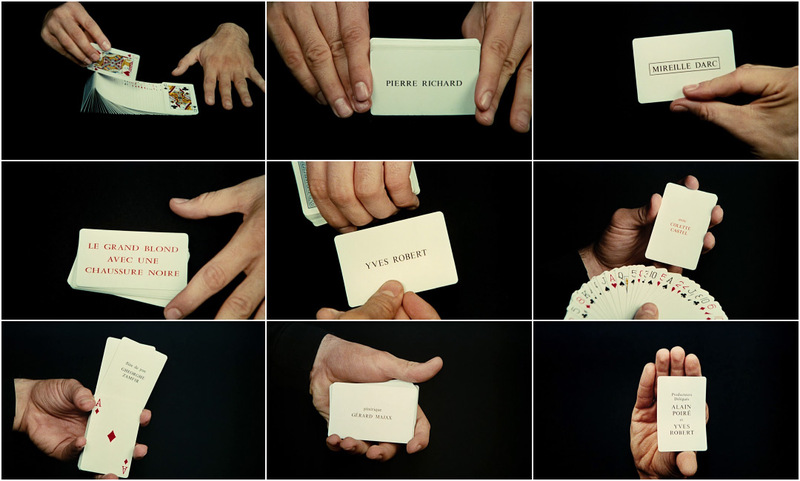 In Le Grand Blond, François Perrin’s fortune isn’t told by the title sequence, but something of his true nature is revealed as two hands deftly introduce the film’s cast and crew. The credits are a veneer that masks the skillful deception happening right in front of our eyes. Like us, Perrin is oblivious to his situation, so much so that it’s oddly charming. He’s so naive about the dangerous world that he inhabits that’s it’s, well, almost magical. To infuse Le Grand Blond titles with that magical quality Robert enlisted the skills – and hands – of a real magician: legendary French illusionist Gérard Majax. 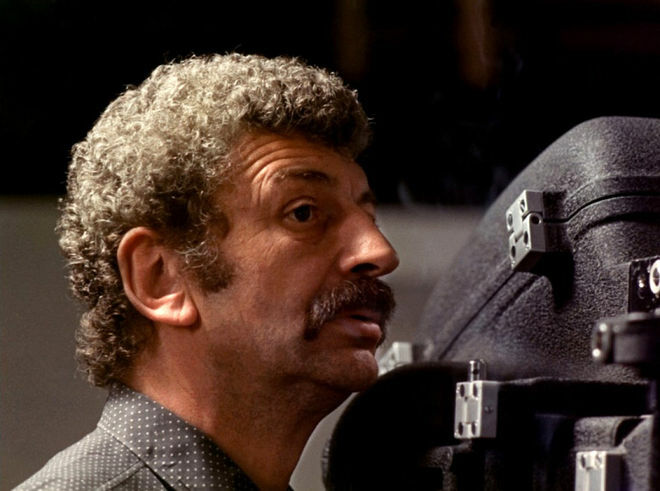 Le Grand Blond avec une chaussure noire director Yves Robert on set. Majax’s magic may have ended up on the cutting room floor for the US release, but he remains a presence in all versions the film thanks to a cameo appearance (“It’s a very little part,” laughs Majax) as a “Magician Spy” who searches Perrin’s apartment the way only an illusionist could. 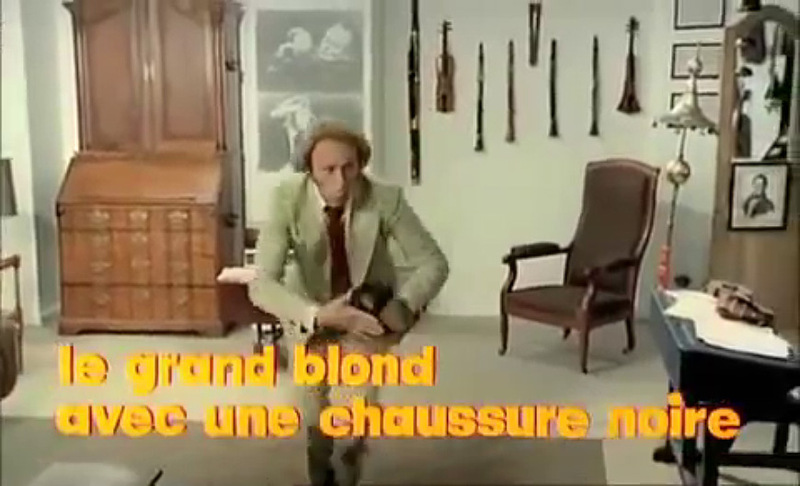 A scene from Le Grand Blond avec une chaussure noire (1972) aka The Tall Blond Man with One Black Shoe featuring Gérard Majax as the "Magician Spy". Majax worked with Robert again on the 1974 sequel to Le Grand Blond – Le Retour du grand blond – in which the illusionist performs an elaborate card-based recap of the first film in his trademark style. 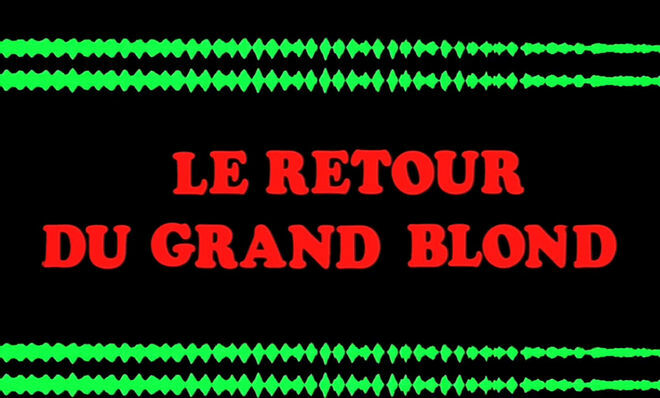 Le Retour du grand blond (1974) aka The Return of the Tall Blond Man with One Black Shoe main titles, designed by Michel François and featuring Gérard Majax. François, one of France’s most prolific title designers and trailer editors, also created the opening sequence for Le Retour du grand blond that preceded Majax’s card routine. 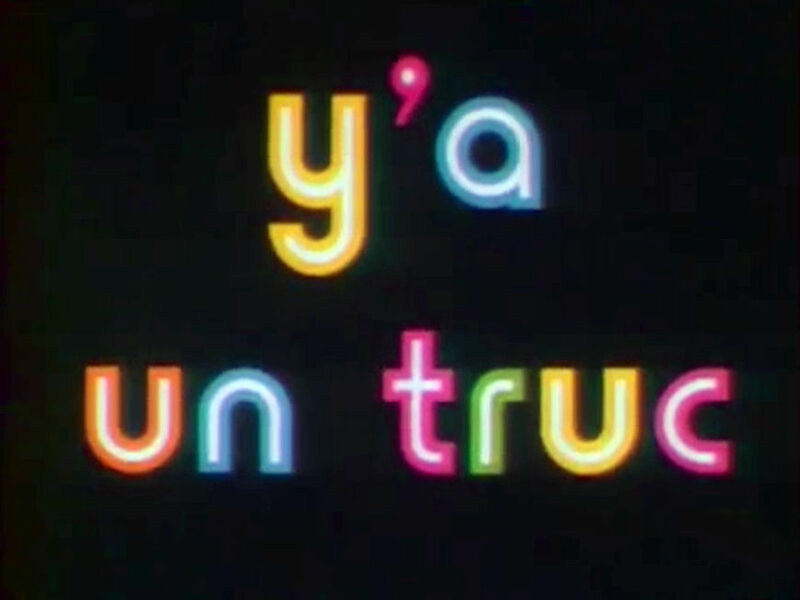 Tylski notes that the sequel’s title sequence is very reminiscent of François’ work on the opening of Truffaut’s Day for Night (La Nuit Américaine), which was released a year before. Whether this was an intentional spoof of his earlier work or simply a filmmaker asking for more of the same, it’s an notable example of an issue many designers have to deal with to this day. Our thanks to Christian Annyas of The Movie Title Stills Collection for providing selected video assets for this feature.